The WalkAway campaign founder Brandon Straka was attacked by a woman at the airport on Thursday because her Trump Derangement Syndrome was triggered by the red MAGA hat he was wearing. Straka said at the airport today a woman came up to him and berated him over his hat featuring President Trump’s 2016 campaign slogan. Straka, left the Democrat party and started his own campaign against the party to encourage others to leave. At the airport w my MAGA hat on. This girl approached me 2 tell me I should be embarrassed. She said I’m a racist & POTUS is a racist. When I repeatedly asked why she replied, “He just is. He just is”. So I began recording & grabbed me twice. Shall we make this model very famous? She then flipped her hood up over her head to try to keep Straka from filming her. 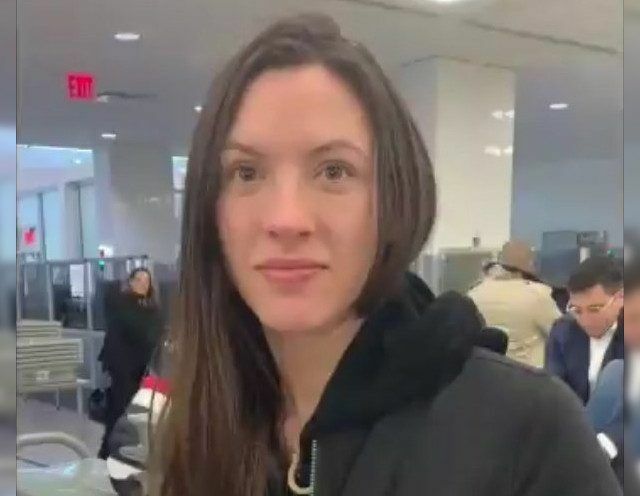 “She was really aggressive and smug until I turned the camera on, then she ran over to TSA and said, ‘please help me, this guy is filming me and won’t leave me alone’,” Straka wrote.